After an astonishing fortnight of events on Raw, Paul Heyman's working relationship with Universal champion Brock Lesnar may be coming to an abrupt end. As Lesnar had his advocate Heyman gasping for his breath in the main event segment on Raw last week, Lesnar would exit the ring having laid out general manager Kurt Angle with an F5 and shocking of all, with Heyman on the canvas by Angle's side, attempting to recover from Lesnar's own attack on him. A week later, Heyman gave an emotionally-charged interview with Renee Young in which he was almost at a loss for words to explain what looks like the demise of the pair's working relationship. It would appear that Lesnar may have lost patience with the advocate who has been by his side for the majority of his WWE career. If this does spell the end of their relationship, then who will Heyman have his eye on becoming the next 'Paul Heyman guy'... or girl? Drew McIntyre has all the tools to be a world champion - could Heyman take him there? Since making his return to WWE last year after dominating the independent circuit, McIntyre made an immediate impact in NXT by becoming world champion before teaming up with Intercontinental champion Dolph Ziggler on Raw as they continue to take Monday nights by storm. You only have to look at the size, the ability, and the in-ring prowess of McIntyre and feel that the world is his oyster in this, his second run with the company. Eventually McIntyre will surely branch off and fulfil the destiny which was once bestowed on him as a future world champion. With Heyman by his side, McIntyre could reach heights his career has always promised it would reach. 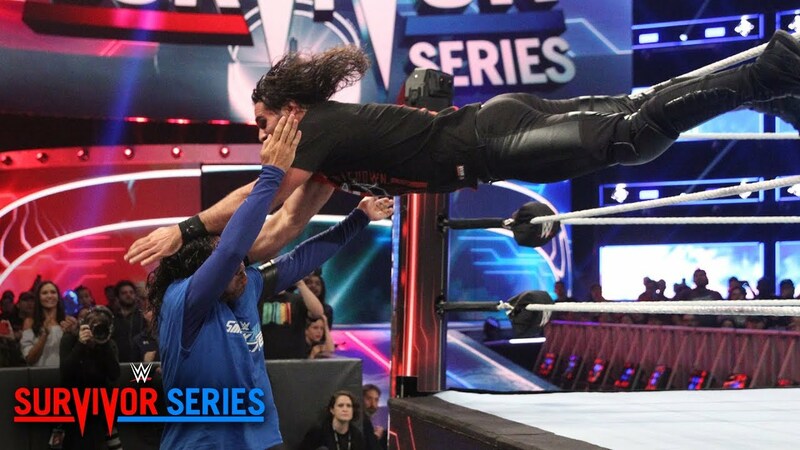 The Scotsman continues to show he is a world class in-ring competitor - you only have to look at the quality encounters he has been involved in against Seth Rollins and Finn Balor in recent weeks. Heyman could be the missing piece of the jigsaw that would see McIntyre eventually become world champion. Despite coming up short in his number one contender match against Roman Reigns for Brock Lesnar's Universal title, Bobby Lashley was beginning to be legitimised as a real threat on Raw. Fast forward a week later and Lashley was in a more-comical segment with Elias that albeit saw him get the upper hand in what would appear to be the start of a feud between the two. You'd like to think Heyman would be the mouthpiece Lashley is crying out for. If there ever is going to be a breakout star from The New Day, should they eventually split, then surely it is Big E.
During his successful run with the three-man trio, alongside Kofi Kingston and Xavier Woods, Big E is known to be the exuberant entertainer. We have seen a more serious side to Big E but only in glimpses - most notably during his in-ring promo on The Usos before the two teams faced each other at last year's Hell in a Cell pay-per-view. On that occasion, you could hear a pin drop in the crowd as Big E delivered a passionate and fired-up promo. This side of Big E hasn't been brought out on a consistent basis and probably only will be once The New Day go their separate ways. Big E is a fantastic competitor who has the presence and makings of a world champion - a world champion that could be taken to greater heights under Heyman. It could be time for the first-ever 'Paul Heyman girl'. Since making her WWE debut in January at the Royal Rumble, Ronda Rousey has taking the industry by storm. From her highly-praised debut match at WrestleMania, to what is set to be yet another show-stealing performance at SummerSlam against Alexa Bliss for the Raw's women's title. We have seen what 'determined babyface' Rousey can do and yes it is awesome. But just imagine Rousey as a heel with Heyman by her side. Her ultra-aggressive persona turned up a few more notches to be a monster heel, meshed with her terrifying facial expressions that let you know she means business. It is one mouth-watering prospect down the line. Roman Reigns faces Brock Lesnar at SummerSlam - will Heyman betray the Beast to help him to the Universal championship? Will Roman Reigns ever be turned heel? It seems WWE is reluctant to do so. But with what transpired between Heyman and Lesnar last week on Raw, you certainly wouldn't rule out a Reigns switch to the dark side at SummerSlam. Heyman's role at SummerSlam now becomes intriguing. With his relationship with Lesnar now on the ropes, will Heyman go all the way and screw Lesnar out of the Universal title and stand side-by-side with Reigns? The experiment of Reigns becoming WWE's next big babyface has had its ups and downs down the past few years, in which he has become arguably the most polarising figure in all of WWE. Heel Reigns in the early years of The Shield was sensational. If Reigns was to join forces with Heyman at SummerSlam it would have shades of Stone Cold Steve Austin shaking hands with Mr McMahon in the middle of the ring after he won the WWE title from The Rock at WrestleMania 17.